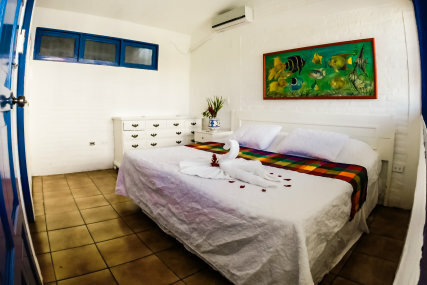 "We stayed at HolaOla suites and the acco..."
The Hola Ola family to hostel and suites to was founded under a clear vision of becoming the best way for tourist to experience Nicaragua. Hola Ola Suites was born in close relationship to the Hola Ola hostel. 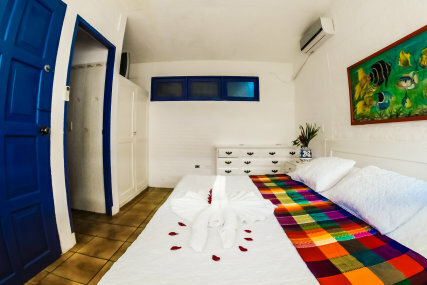 Our small, 5 to rooms hotel has all the potential to give our guests an exclusive, fun and safe experience, while not drifting away from the family feeling that has separated us from other businesses in the first place. 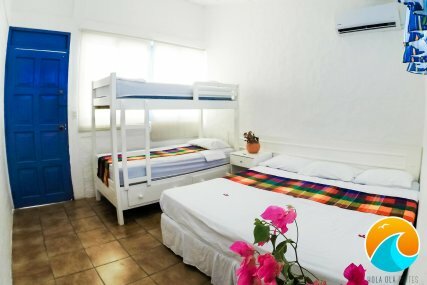 Being right next to each other, our hotel guests can freely join the hostel in their daily planned activities, knowing that they are just a few steps away from the privacy of their own 14 to people sanctuary. Our sister company to Hola Ola Hostel to opened its doors in November 2015, and within a few months it became one of the best hostels in Nicaragua. Hola Ola Hostel started to build up a strong reputation as one of the best and most social atmospheres in San Juan del Sur, with customers sometimes extending their reservation for months due to the amazing “family” vibe that the hostel offers. 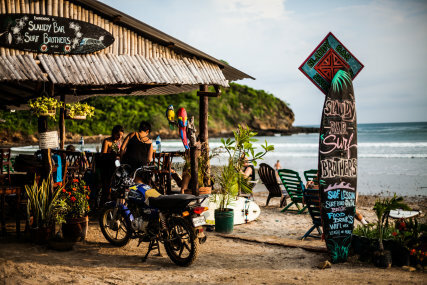 From the best sunset happy hour in San Juan del Sur, to nights filled with good food and live music, Hola Ola Hostel has something to offer to any avid traveler. We stayed at HolaOla suites and the accommodation facilities were perfect as the place is split in two sections, a more party orientated side and then the suites which is the quieter area. There are two swimming pools plus plenty of space to relax and read or do yoga. One of the best things about this hostel is that there are plenty of activities that you can join in the evenings and during the day you surf or you laze about. There was a great family vibe to the place which made us feel welcome from the start. The staff are very helpful, anything we ask for was not a problem and they are really good banter! HolaOla is located on the edge of San Juan del Sur next to the beach, a short walk from town and there are regular shuttles free for the hostels that take you into town and back at night. The surf lessons were brilliant. Totally worth the money and had very attentive teachers. I had the pleasure of being thought by Dennis who helped me fight personal fears and progress really fast. Bryan mainly was with Kyle and taught him to read the waves better and timing. Both excellent instructors! The beach we mainly went to was Romanzo which most of the time was neat and medium size, perfect for a beginner and intermediate. To get to any beach you drive though beaten tracks on their trucks and takes from 30 minutes to 1 hour. There is bars and cafes in most beaches for a snack and a refreshment. We provide Airport Transfers from and to Managua airport and they can be booked in the booking steps. Spanish/Nicaraguan, 27 years old, manager at Hola Ola Suites and Son of a Beach surf school. Living in San Juan del Sur for more than two years, i surf every day and one of my passions is show my clients how beautiful and unique is our country.